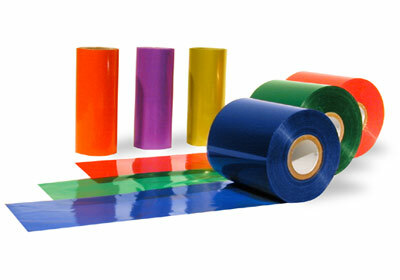 We offer high quality thermal transfer ribbons for a wide range of thermal transfer printers, e.g. Datamax, Zebra, intermec, Sato, Tec, Eltron, etc. The ribbons are available in a variety of types, dimensions and colors. High quality of ribbons, their smoothness, print durability and scratch resistance make them a perfect solution in many industrial applications. We provide ribbons designed to print on such materials like: paper, films, carton, metalised films and fabric. We will select ribbons for a particular material, desired print quality and durability and desired print speed. • wax – designed for the modern demands of cost effective thermal transfer printing. Wax ribbons feature high print speed and quality and good printhead security. It's a perfect solution for labels/tags printing on paper and carton. • wax – resin provide excellent print quality and durability. They are scratch and smudge resistant. Wax-resin ribbons feature high print speed and good printhead security. Designed for printing on wide range of materials from rough papers through to synthetics. • resin – feature excellent print qualityc and high smudge and scratch resistance. 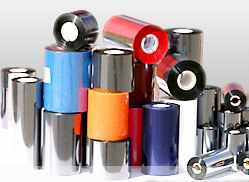 They are environmental friendly and provide good printhead security. High performance on quality paper and synthetic label stock. • textile – resin ribbons designed for printing on fabrics. They are wash and iron resistant. Most of the ribbons are available at the time of order.